Hi, I'm Staci and I'm from the The Potter's Place. I am so excited to be part of Amanda's Fall Fever. Today I am sharing how I make simple treat bags out of paper. and of coarse some treats. 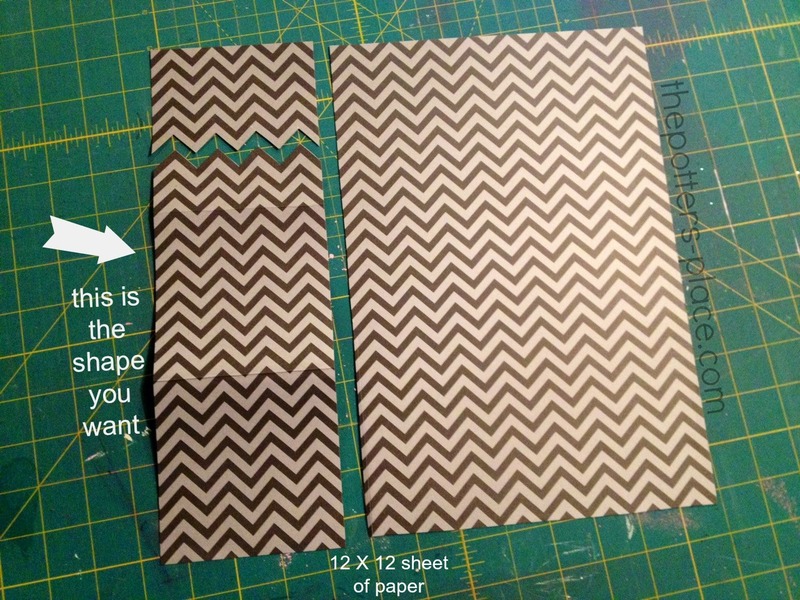 Start out with a rectangular shape of paper It doesn't matter the size. I made mine all different. Then fold the edges so you have a little pocket. Then fold over the top to close off your bag. Now open up your envelope top and stitch down the side, across the bottom, and back up the other side. Now add your holes or brad and fill with candy. As you can tell I didn't fill my bags with candy. It was way to late to run to the store!!! These little treat bags are darling!! I need to make some for my neighbors! !